CMPI offers a wide variety of fabrication and processing capabilities. We're the one stop shop for stainless steel manufacturers who need outside service. Whether it's shearing, cutting, braking, rolling, punching, machining, welding, grinding or polishing, CMPI is an extension of your plant. CMPI does not sell or fabricate to compete with our customers, we help them make their products, deadlines, and costs in order to satisfy their clients. Our plant is 76,000 sq. feet and packed with an impressive variety of machines and skilled craftsmen, and we want to put our resources to work for you. We want to be an extension of your plant! Helping our customers define brilliance with every job. Our huge array of capabilities set us apart from the average stainless shop. See for yourself how CMPI can help you customize and streamline your stainless manufacturing needs! Our engineering department is fully equipped with the latest 3D modeling & CAD software packages to assist your design process. CMPI's fabricators include master craftsmen & welders from the heart of the stainless steel industry, Springfield MO. 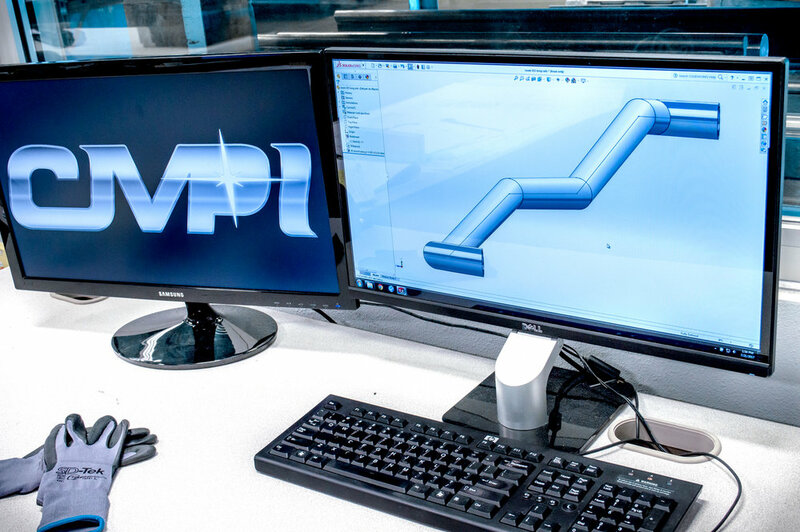 CMPI is equipped with two waterjet cutting machines and the engineering capabilities to trim material down to your precise specifications. CMPI provides quality stainless steel punching services to fabricators nationwide. Inquire for information on our full range of punching capabilities. As a versatile steel fabricator, CMPI is prepared to assist in almost any step of your manufacturing process. CMPI is equipped with multiple machines dedicated to processing your material, quickly & with precision accuracy.